"Fun for fans of pulp, crime, or historical fiction." "If you enjoy watching an author play connect-the-dots with bullet holes and blood, this Head's for you." "A breezy thriller designed to hit the sweet spot for crime fans and history buffs alike." 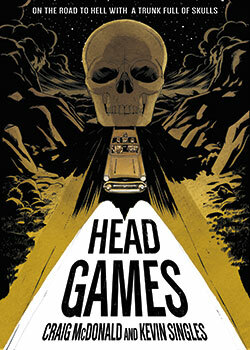 "Head Games takes readers on a trip through time minus the DeLorean and the Tardis." Site design & maintenance by xuni.com. All content copyright 2007-2019, Craig McDonald.